The Philadelphia Eagles were able to snap a five-game losing streak last week, and the good vibes continued this week when players made a surprise holiday visit to patients at a local hospital. 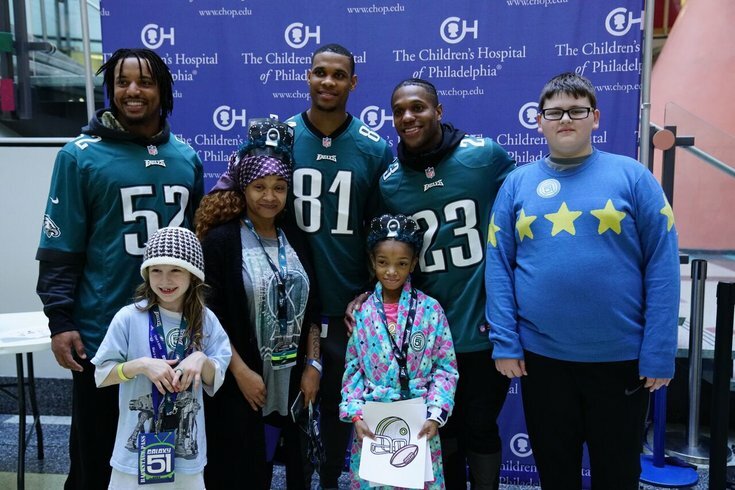 Outside linebacker Najee Goode, inside linebacker Jordan Hicks, wide receiver Jordan Matthews and safety Rodney McLeod spread holiday cheer Tuesday to young patients and their families at The Children's Hospital of Philadelphia. The players participated in Bingo games, created some arts and craft projects and handed out gifts throughout the afternoon. Most of the young patients spent the holiday in the hospital, the team said. For the last six years, the Eagles and CHOP have partnered for Huddle Up For Autism that supports autism research. In August, the team donated $1 million to the hospital to fund the effort. The Eagles will wrap up the season Sunday when they host the Dallas Cowboys at Lincoln Financial Field.